Roughly two million boxes of macaroni and cheese are sold each day in the United States alone, but a recent study revealed that the powdered cheese might contain harmful chemicals. The report, commissioned by a group of four advocacy groups, found phthalates (pronounced THA-lates) in 29 of 30 cheese products selected for testing from the United States. The highest concentrations of the chemicals were detected in the processed cheese powder included with many mac and cheese mixes that come in boxes. Phthalates are chemicals frequently used to make plastics softer or more pliable. According to the U.S. Food and Drug Administration (FDA), phthalates are found in hundreds of products, like toys, detergents, food packaging, pharmaceuticals, hair sprays, shampoos, perfumes and more. However, exposure to the chemicals may result in harmful effects, particularly in pregnant women and young children. Phthalates may interfere with testosterone levels, resulting in birth defects and reduced fertility in males. 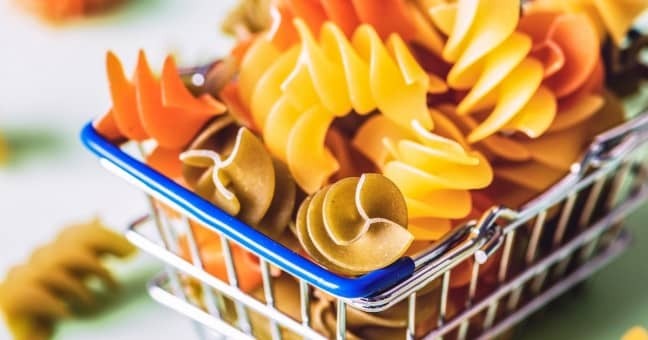 The study was conducted by purchasing 30 cheese products from several brands at retail stores in the United States and then sending them in their original packaging to an independent laboratory in Belgium called VITO (Flemish Institute for Technological Research). The products were checked for 13 different phthalates, and found that the powdered cheese mixture contained high concentrations of the chemicals. “The phthalate concentrations in powder from mac and cheese mixes were more than four times higher than in block cheese and other natural cheeses like shredded cheese, string cheese and cottage cheese,” Mike Belliveau, executive director of the Environmental Health Strategy Center, told The New York Times. The organization was one of four groups that paid for the testing. Ten different types of mac and cheese were tested for the chemicals, including those labeled organic, but phthalates were found in all of them. “Our belief is that it’s in every mac ‘n’ cheese product — you can’t shop your way out of the problem,” Belliveau said. Kraft is the main target of the Coalition for Safer Food Processing & Packaging because the company makes the largest amount of mac and cheese products on the market. Nine of the cheese products tested were made by Kraft. Although phthalates continue to show up in different types of food items, the chemicals have been banned in many children’s products. In 2008, Congress banned the use of phthalates in children’s toys and items in which children under the age of 3 may use for sucking or teething. However, the FDA has not banned the use of the chemical in foods. According to experts phthalates are not deliberately added to food, but they can seep into foods during food processing and packaging. Plastic tubing, conveyor belts, printed labels, and plastic packaging can all seep the chemicals into the food. Phthalates are more likely to bind with fatty foods, which is why products like powdered cheese are particularly susceptible to exposure. In 2016, a coalition of groups concerned about the health of children petitioned the FDA to reconsider using the chemicals in food packaging. The agency agreed to reconsider use, but the petition has since been delayed for technical reasons, according to Tom Neltner, who is coordinating the effort. While the effects of phthalates on human health remain unclear, studies have shown a link between the chemicals and adverse effects. Aside from a possible effect on testosterone levels, one study showed an association between phthalates and childhood asthma. Another study this year published in Pediatric Research found an association between exposure to certain phthalates while in the womb and a risk for obesity and weight issues in childhood. A third study published in Environmental Research found existing data to support a direct connection between exposure to phthalates and the development of autism. While evidence showed a connection, the scientists recommended further research to account for relevant pre- and post-natal cofounders. To avoid exposure to high levels of phthalates, consumers are recommended to eat more fruits and vegetables, choose low-fat dairy products and avoid scented cosmetics. Any blog content posted on The Eichholz Law Firm website is provided for educational and informational purposes only and is not considered to be legal advice. If you or a loved one believe you have a consumer alert claim, please contact us for a free case evaluation.